Turkeys and tinsel, dreidels and pumpkin pie. Yes friends, the holidays are here again, and it’s the perfect time for…house hunting? OK, we know you’re busy enough planning family feasts and much-needed vacations while dealing with blustery weather, but hear us out. While it might seem counter intuitive to put a big-ticket item like a home on your holiday shopping list, it really does make sense. Most buyers take the month off to celebrate the holidays, attend parties, host out-of-town guests and, quite frankly, avoid trudging around in inclement weather to look at houses. Or, maybe they’ve heard that this is a lousy time to buy a house, Whatever the reason, shopping for real estate at a time when fewer buyers are in the market can pay off big. That’s because competing with multiple offers is one of the most stressful parts of the home buying process, says Brian Wasson, a real estate broker with Center Coast Realty in Chicago. The December seller is likely to be serious and motivated — and therefore more open to negotiation. So what you might lack in choice of available homes could be balanced out by dealing with a more flexible seller. Most sellers have a compelling reason for putting their house on the market during the holidays. (Let’s face it: It’s no holiday party for them to have strangers wandering through their house.) They might be facing a relocation and want to get their kids settled before the new term. Or they might just be feeling some stress if they listed their home in the fall and it’s still languishing post-Turkey Day, making them just a little more desperate and anxious to deal. Also, many closing fees are tax-deductible if you itemize–although you should always double-check with your accountant about any tax questions. What house doesn’t look amazing int he typical spring buying season, with newly planted flowers and plenty of sunlight streaming through the windows? Checking it out during the miserable winter season, on the other hand, might give you a more accurate idea of what you might be living with the rest of the year. Of course, don’t forget that issues that crop up more during summer will be less accessible–such as how well the air conditioning works or what the roof really looks like under all that snow and ice–so make sure that your home inspector does a thorough job on those fronts, too. If you’re thinking of buying a home during the holidays, please give our office a call! Pricing your home for sale can be challenging and many home sellers fall prey to myths about home pricing. Let’s take a look. 1. You always make money when you sell a home. Appreciation is one reason you invest in real estate. However, the market value of your home depends on many factors, including condition, location, and competition. A competitive market analysis will help you determine market value and estimated net proceeds. 2. Price high to make big bucks. An overpriced home is simply not likely to sell. As the northern Colorado market slows down, buyer competition has diminished in some price ranges. Additionally, a Buyer’s loan is contingent on an appraisal report using comparable sales that are unlikely to support a price higher than market value. 3. If your home’s overpriced, it’s no big deal to reduce it. Homes that linger on the market for months can lead buyers to think that something may be wrong with the home. An acceptable offer is more likely to occur in the days immediately following the listing if the price reflects the market value. 4. Price too low and lose money. Sellers are often leery of pricing their home on the low end. But low-priced homes can drum up tons of interest and a possible bidding war that could drive the final price above your expectations. 5. You can recover any renovation costs. On average, you can expect to get back 64% of every dollar you spend on home improvements, and that profit can vary greatly based on which renovation you do. 6. A past appraisal is a good indicator of current value. An appraisal assigns your home a value based on market conditions at a specific date, which becomes outdated very quickly. Lenders require an appraisal value based on current sales data. 7. The agent might overprice the house to make a bigger commission. The agent does not want your home to linger on the market any more than you do! 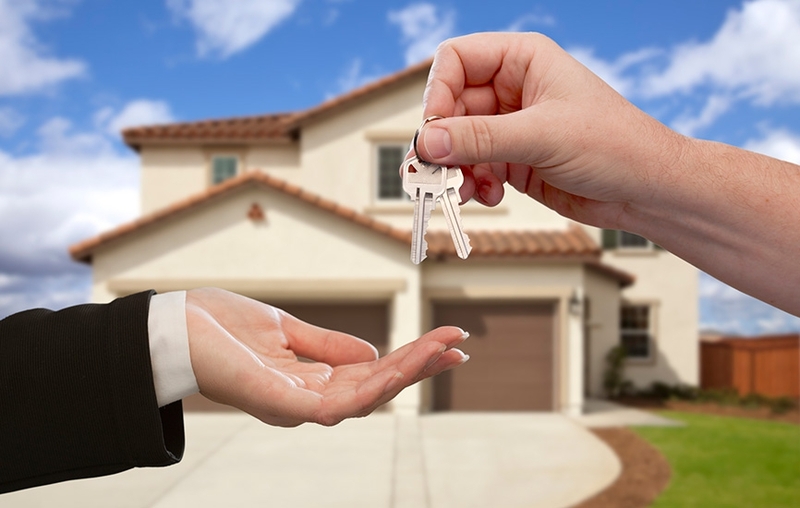 As the seller, you will set the listing price for the home, and negotiation with the buyers will determine the final sale price! Call our office with questions about pricing your home! 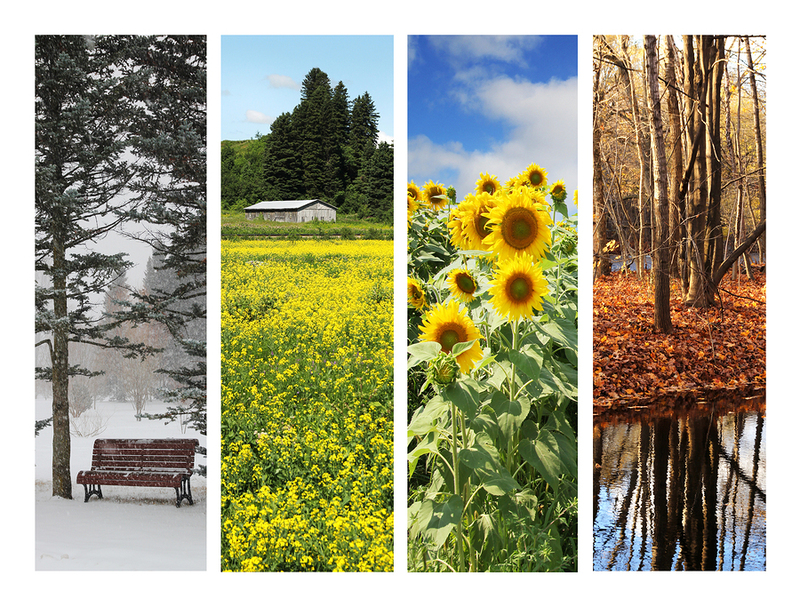 The seasonality of a market varies from location to location. In Phoenix, the winter months are popular due to an influx of people relocating from other regions or buying a second home. Alternatively, in Denver, the cold weather climate creates a market slow down. So when is the best time to buy or sell a home? Studies show that the busiest moving times of the year occur during the summer. Buyers and sellers with children typically do not want to uproot their family in the middle of the school year. Instead, the summer months offer more free time for moving. With this in mind, many home sellers target June to list their homes. However, by this time, the market is often beginning to slow as vacations and other summer activities take priority. Families intending to move during the summer have often closed by May or June! In Larimer County, the peak closing month from 2014 through 2017 has been June. Weld County closings peak between May and July during those years. Homes that are closing in June are going under contract about 30-60 days earlier, from early April through late May. Listing activity in Larimer County ramps up as early as March with strong numbers continuing into June. The strongest months for listing activity in Weld County since 2014 have been April through July. As the holidays approach towards year end, fewer people are moving and the number of closings between November and January decrease. People often do not want to add the logistics of moving to an already hectic holiday season. The colder months when demand and activity is lower may benefit you! By not buying when everyone else is buying, you might have less competition, and a seller with a home listed for sale during the holidays is typically motivated! However, ultimately you are best served when you buy or sell at the time of year that fits your needs. For more information about our current northern Colorado market, give our office a call at 970-221-5995 or contact one of our agents here! There’s a down payment, of course. “On average, you want to have a minimum of 5% to 7% of the cost of the home you’re targeting,” says Jason Harriman, a REALTOR® with San Antonio-based Heyl Real Estate Group at Keller Williams Realty. Then, add 3% to 6% for closing costs, which will vary based on where you live and what taxes your state and city require you to pay. “The best way to do this is to pay of any unsecured debts like credit cards and personal loans, and keep them as close to a zero balance as you can,” says Harriman. Kathleen Celmins, who manages the personal finance site “Stacking Benjamins,” was financially prepared to manage a mortgage. But once the house hunting began, she quickly realized she was priced out of the homes she had envisioned. Of course, having the financial flexibility to cover those unexpected things is important. But don’t overlook the importance of having the mental and emotional capability to dealing with them responsibly when they arise. Everything could be peachy for months, and then three maintenance issues might spring up in the same week. Stress management and problem solving skills are home ownership biggies. Many people find a rental can only take them so far. When you’re ready to start a family, you’re going to want a few extra rooms, and that can get expensive with rising rental rates. A yard also provides a safe place for Junior to pay or for a dog to scamper around. And speaking of Fido, the vast majority of renters have trouble finding a place that will allow for their pet. Home ownership can end that stress for good. Then there are renovations. If you’re itching to test out your DIY skills and personalize your space, you’re probably ready to own. Landlords who allow property renovations — especially DIY projects — are few and far between. What’s Going On is a serialization of the commercial development planned, in progress, and now open around Fort Collins. This month we will be focusing on the North Fort Collins area. 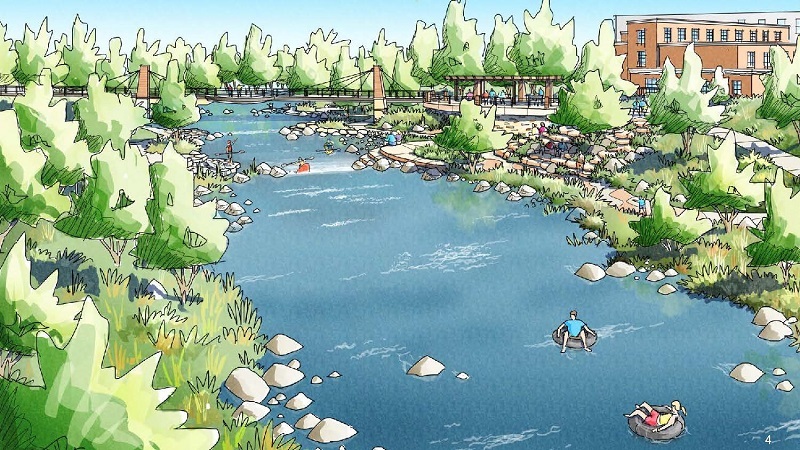 Poudre River Whitewater Park will be located just north of Old Town and will offer year round recreational fun. Kayakers, tubers and kids of all ages will enjoy safe river access areas. This will include public open space, kayaking features, a new pedestrian bridge, and parking. Construction begins in the fall of 2017 with completion anticipated by spring 2018. The new Lyric Cinema will have an increased space of 10,000 square feet compared to the former Old Town space of 3,500 square feet. The new building will offer an 80-seat restaurant, an outdoor projection booth, and three indoor screens. Completion is expected by fall 2017. The Firehouse Car Wash, part of the Country Club corners revitalization, will be a drive-thru car wash and coffee shop. Completion is planned for November 2017. Northern Colorado Feeders Supply moved to 300 Hickory Street in order to make way for the renovation of their former location north of Old Town. The previous location will become the Ginger and Baker Coffee and Pie Shop. Construction began in June 2017 on the Arby’s at the North College Marketplace, anchored by King Soopers. The Elevated Sandwich Shop is now open, offering craft sandwiches with local ingredients, beer & wine. Find it in the former Pizza Hut location on the southeast corner of North College and Willox Lane. Crowne at Suniga will break ground in 2018 and offer 305 total units in seven 4-story buildings. They will include one, two, and three bedroom apartments. In addition, there will be 19 attached townhomes and carriage homes. Aspen Heights offers apartments and townhomes with furnished options available. Amenities include yoga studio, movie theater, and private private transportation to CSU. 720 beds total and 100% preleased. Check out other developments in Fort Collins here!